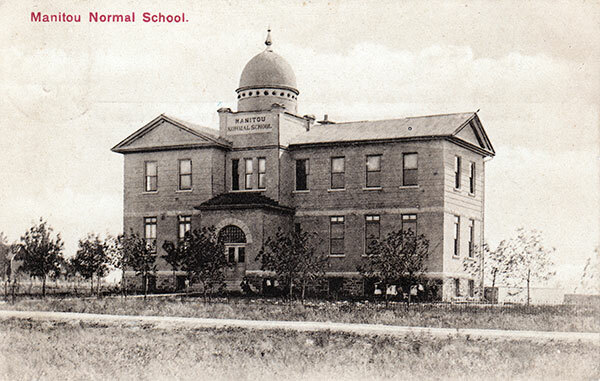 The Manitou Normal School building in the Village of Manitou was designed by Winnipeg architect Walter Chesterton and erected in 1905 by contractor George Ullyot at a cost of $18,000. For 28 years, the facility was used to train public school teachers until it closed in 1933. 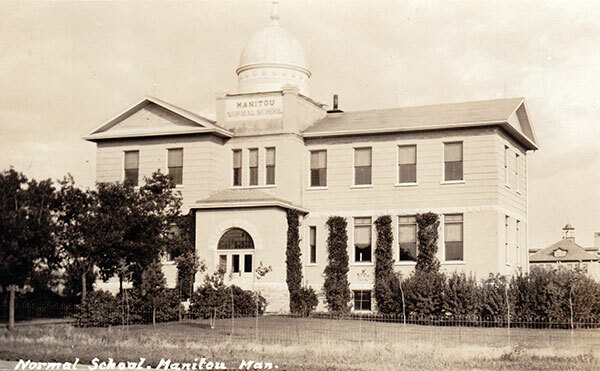 Its building was then used as a high school in the Manitou Consolidated School District. 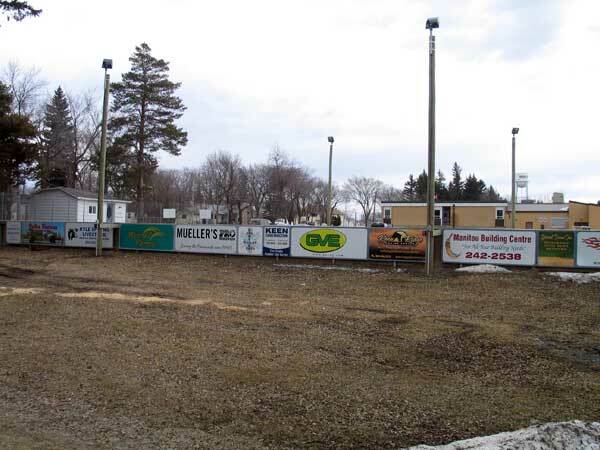 It was demolished sometime in the 1990s and the site is now occupied by a hockey rink. In Rhythm With Our Roots: A History of Manitou & Area edited by Haraldine Webb and Diana Vodden, published by the Manitou Centennial Book Committee, 1997, pages 174-178. We thank Bette Mueller for providing additional information used here.